Sound deadening is one of the best-value upgrades you can do to any vehicle. 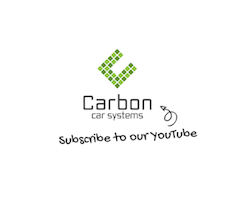 Since our beginning in 2008, Carbon Car Systems has aimed to educate all of our customers about the benefits of adding sound-deadening products to their vehicles. 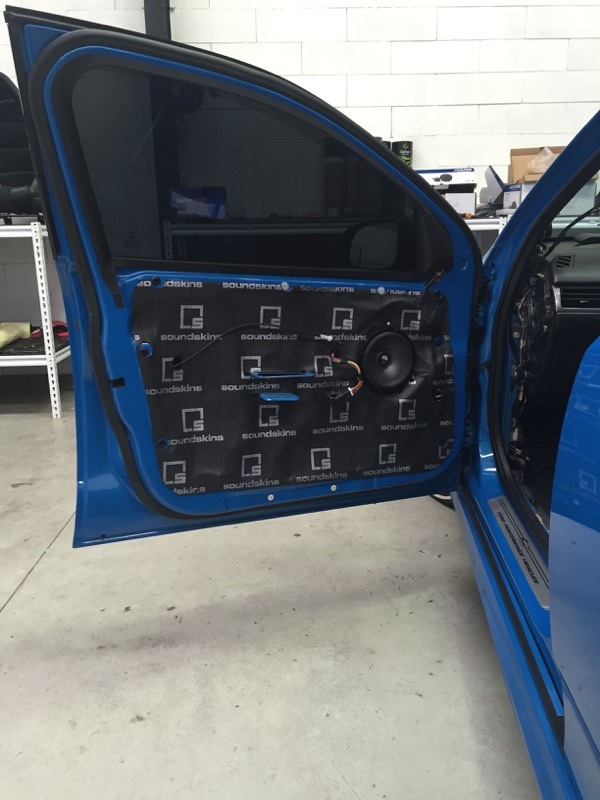 If you could drive two identical vehicles, one that is outfitted with our Soundskins sound-deadening products and one without, the results would be extraordinary. You would notice the lowered road noise immediately in the car that has been treated. If you had a passenger in the vehicle with you, you could talk more quietly and still be heard clearly. If you were on your mobile phone, the people on the other end of the line would hear you better. Your music will instantly sound better since you will find the road noise is no longer masking the nuances in the music. When going on a longer journey, you will realize how much better you feel thanks to the absence of the normal road noise. When you arrive at your destination, you will be more alert and feel more refreshed, instead of that drained feeling we all get after a road trip. If you have added performance products to your vehicle and noticed some new squeaks and rattles, Soundskins is a great way to eliminate those new noises. When you upgrade the audio system in your vehicle, you will often find that panels start to vibrate from the improved output of your new equipment. 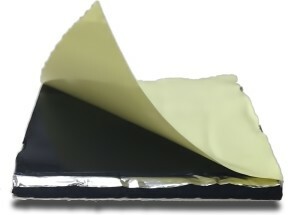 Installing our sound-deadening material will eliminate those noises, allowing you to fully enjoy your new sound system. 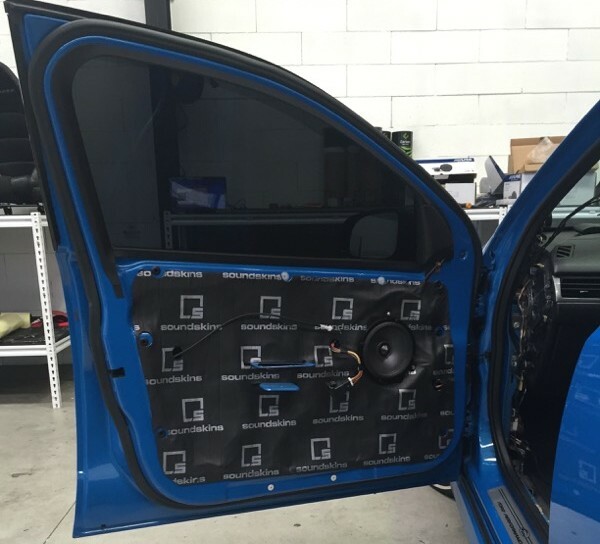 Our team became so passionate about the benefits gained when installing sound-deadening products that we set out to see if we could improve upon existing products on the market. 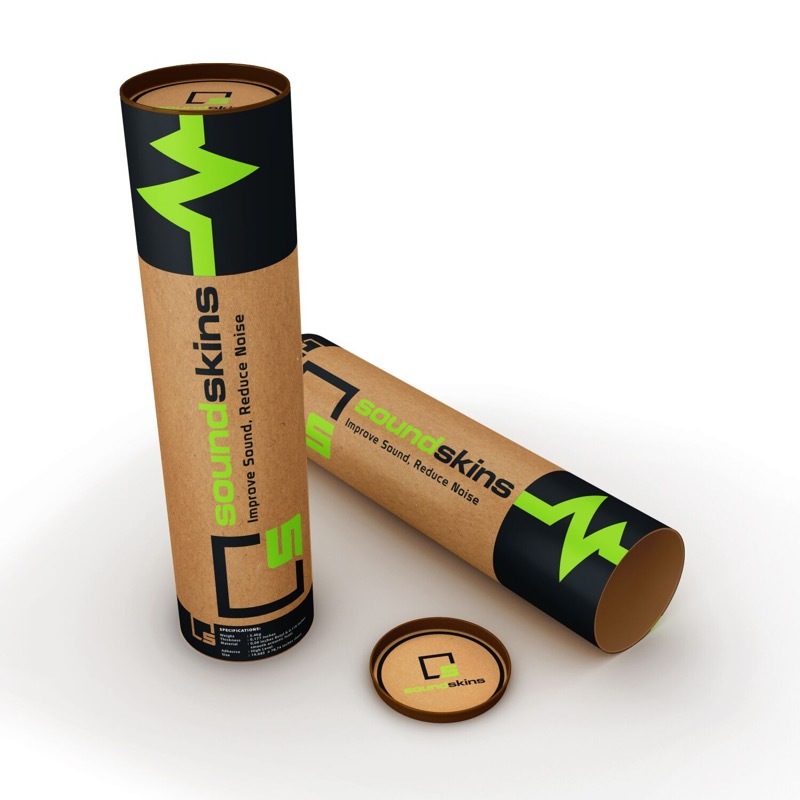 After we spent hundreds of hours on research and trying sample after sample, Soundskins was born out of Carbon Car Systems’ desire to offer our clients the best products available. Soundskins is a unique product in that it targets both low-frequency and high-frequency sound in one product. It also comes in much larger sheets, so you only need one piece to do a complete door, which makes it easier to work with and looks better cosmetically. It is also 100% waterproof, meaning it will never hold or absorb water. 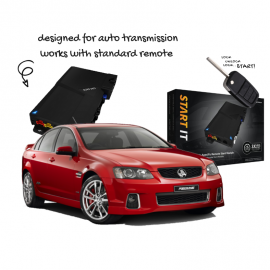 This ensures that the factory protective seals can be duplicated and your vehicle electronics protected. When you factor in all of the performance and sound benefits gained by installing sound-deadening products, this should be the first improvement you make to your vehicle. You can stop by our store with your vehicle for more information, or you can contact us HERE.